– coastal towns, appearing at the time of the great discovery of the Americas. industry of the XIXth century, such as Port Louis or Concarneau. Today these towns represent an important aspect of the riches of the Breton architectural heritage. de Bretagne. The Cities of Art are grouped by locality: the Brittany Marches, Vannetais, Pays Gallo, Cornouaille, Léon, Trégor. 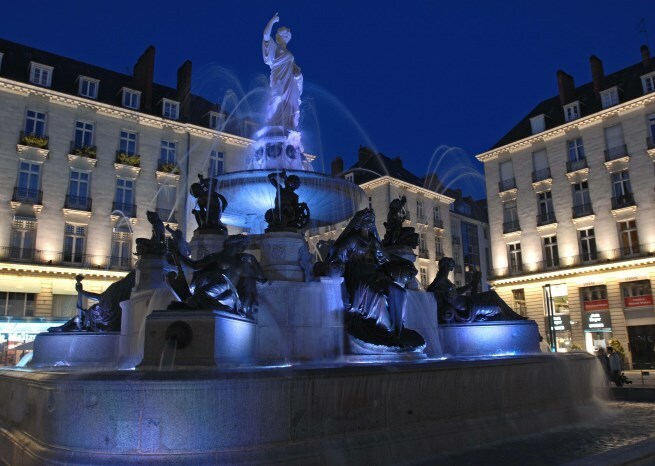 These towns regularly organise medieval fetes, Son et Lumiere shows with spectacular lighting-up of their built heritage, or traditional Breton cultural or creative arts festivals. The Towns of Art and History – approved by the French Ministry of Culture – number 10: Auray, Concarneau, Dinan, Fougères, Nantes, Quimper, Rennes, Saint-Malo, Vannes et Vitré. Incorporated in the Union des Villes d’Art et d’Histoire de Bretagne, they are bound by a common charter to preserve and enhance their architectural and cultural heritage. Tourist and cultural activities are organised depending on the artistic and historical riches of the communes, with a view to bringing the heritage to life. The Union bretonne des Villes d’Art et d’Histoire also incorporates the Historic Towns of Chateaubriant, Dol-de-Bretagne, Hennebont, Landerneau, Lannion, Pontivy, Port-Louis, Quimperlé, and Saint-Pol-de-Léon, these are the nine ‘historic’ towns. These Cities of Art, like the Cities of Art and History, but not yet awarded the label, have a well maintained and well preserved urban heritage. The Small Towns of Character are generally old towns whose commercial or administrative role, or the importance of their crafts disappeared or declined following the Industrial Revolution. Today, these Small Towns are rural communes with a rich architectural heritage, incorporating ancient buildings, with a manifest desire to ensure the upkeep, appreciation and enjoyment of that heritage. 19 have been listed to date: Bécherel, Châteaugiron, Châtelaudren, Combourg, Guerlesquin, Josselin, Jugon-les-lacs, La Roche Bernard, Le Faou, Lizio, Locronan, Malestroit, Moncontour, Pont-Croix, Pontrieux, Quintin, Rochefort-en-terre, Roscoff, and Tréguier.